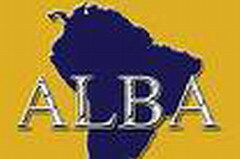 Ecuador Confirms ALBA Summit for June | Cuba Headlines – Cuba News, Breaking News, Articles and Daily Information Ecuadorian Foreign Ministry confirmed on Thursday the holding the Summit of ALBA and the People''s Trade Agreement (ALBA-TCP) in the city of Otavalo, Imbabura province, Ecuador, on June 24-25. "> Ecuadorian Foreign Ministry confirmed on Thursday the holding the Summit of ALBA and the People''s Trade Agreement (ALBA-TCP) in the city of Otavalo, Imbabura province, Ecuador, on June 24-25. Ecuadorian Foreign Ministry confirmed on Thursday the holding the Summit of ALBA and the People''s Trade Agreement (ALBA-TCP) in the city of Otavalo, Imbabura province, Ecuador, on June 24-25. The central subject of the gathering will be the meeting with Indigenous Authorities and Afro-descendants from member countries of the Bolivarian Alliance for the Peoples of Our America. The meeting was originally scheduled for June 3-4, but thick agendas of presidents and other officials was a main reason for its postponement. The Andean city of Otavalo, 55 miles north of Quito, has reactivated its preparations to welcome dignitaries and representatives of social movements in the region. The meeting is expected to be attended by presidents of eight countries, including Antigua and Barbuda, Dominica, Saint Vincent and the Grenadines, Cuba, Bolivia, Nicaragua, Venezuela and Ecuador.